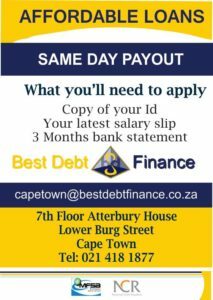 Best Debt Finance was founded in 2002 by it’s Directors, whom have solid working knowledge of the banking industry, specializing in the personal loans market. The aim was to offer a personal loan service to clients just like you, making it possible to loan small amounts in record time, without you, the client, going through the lengthy application processes that banks normally require. 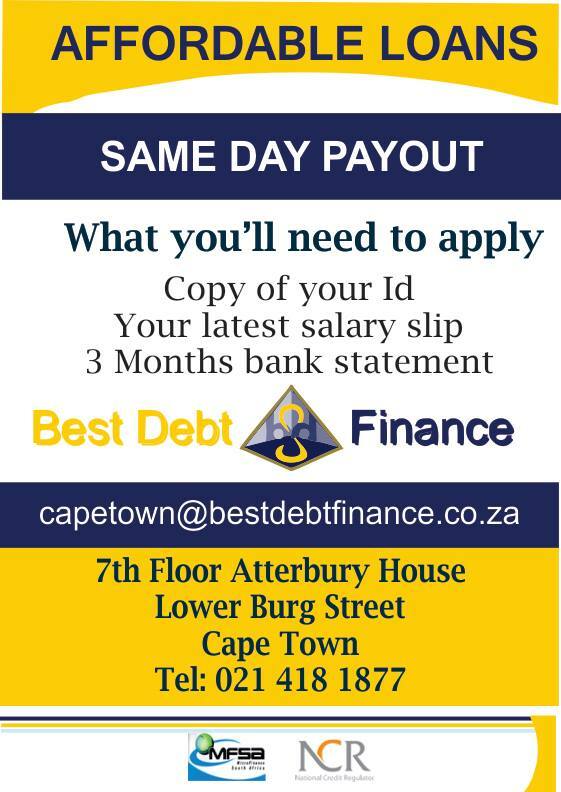 For us at Best Debt Finance, the welcoming, personal touch is extremely important and all our personal loan services are rendered face-to-face right here at Best Debt Finance Cape Town. We also believe in doing business the fair way. For this reason we will never over indebted a client and all our branches comply with the stipulations of the National Credit Act. 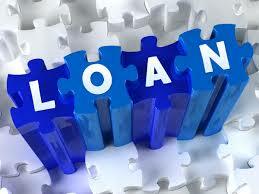 Our interest rates are therefore not only moral, but also very affordable.